are strewn with colour in profusion. their wings trembling with dew. stripped naked of your vanities. rippling on the very First Day and every day. and bury my brush in these Plains of Heaven. 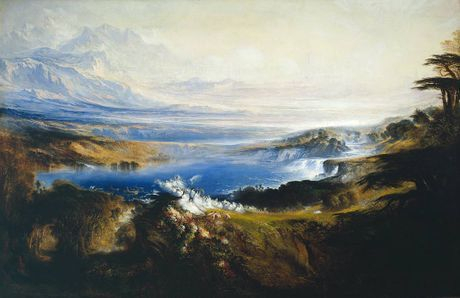 The Plains of Heaven [oil painting], John Martin, 1853. Tate Britain. When Charles Muss’s establishment went bankrupt in 1809, John obtained employment with William Collins, a glass manufacturer on the Strand. In 1812, at the age of only twenty-two, John Martin left Collins’ and made the momentous decision to seek fame and fortune by oil-painting.